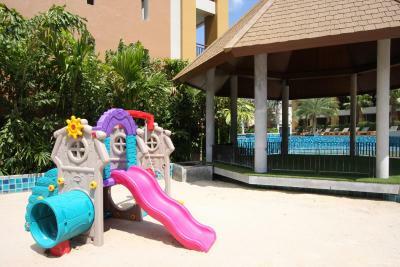 Lock in a great price for Rawai Palm Beach Resort – rated 8 by recent guests! Liked everything about this resort. Room, ambiance, food, swimming pool, staff...everything was at its best. If you are looking forward to get some good vibes and perfect stay in phuket i suggest people to stay in Rawai. 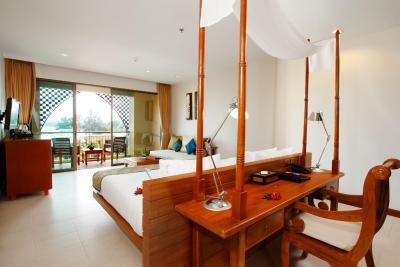 In fact the stay was so comfortable that we happened to extend one more day in Phuket with Rawai resort. If you are planning for a trip in Phuket i suggest you to heave a sigh of relief in Rawai Palm Beach & Resort. Actually Nothing , it was very dated and customer service was shocking! After I had asked for late checkout and be emailed back with a response they refused to give me what I'd asked for and what they agreed too! The breakfast was great - lots of variety and something for everyone. The pool was fantastic - so well designed - especially the children's pool which is a mini beach. My grandson is 2 years old and loved it! 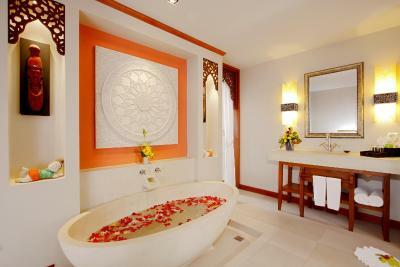 The room was lovely - spacious and clean and it was so nice to have such a huge bathtub. Amazing hotel with friendly staff, good food and the rooms were kept clean and tidy everyday. 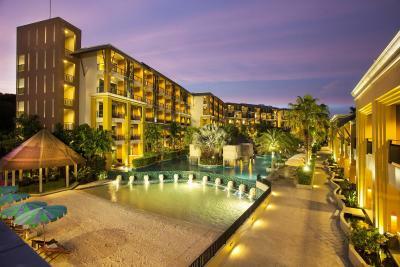 Rawai Palm Beach Resort This rating is a reflection of how the property compares to the industry standard when it comes to price, facilities and services available. It's based on a self-evaluation by the property. Use this rating to help choose your stay! 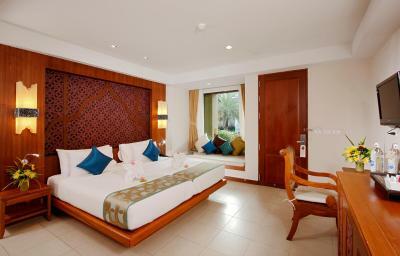 The Rawai Palm Beach Resort features exquisite contemporary Thai décor and luxurious accommodations. Located 650 feet from Rawai Beach, it has free Wi-Fi and includes 3 pools, a spa and several dining options. 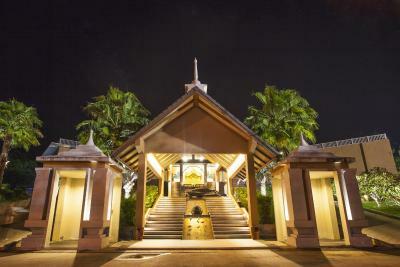 The Luxury Rawai Palm Beach Resort is a 5-minute drive from Promthep Cape and 20 minutes from Patong Beach. Phuket International Airport is a 50-minute drive away. 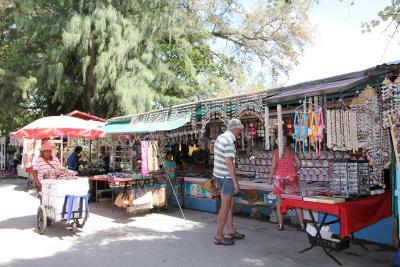 Guests can enjoy a free shuttle bus to Yanui Beach. 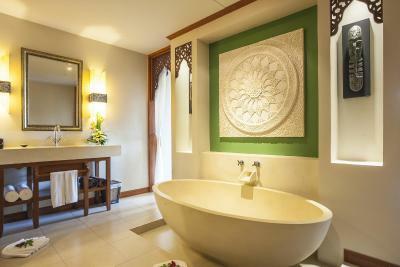 The rooms at the Rawai Palm Beach Resort are spacious and have private balconies, spacious sitting areas and luxurious bathrooms. 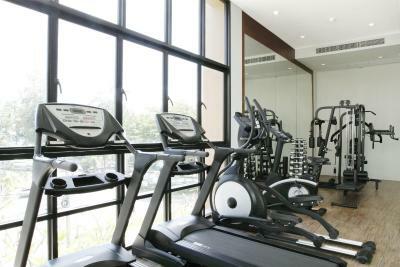 They all provide great views, and select rooms have direct access to the pool. Designed for a relaxing and luxurious retreat, the resort ts free form pools, a well-equipped fitness center and a beautiful tropical grounds. Other facilities include a sauna. The 3 restaurants serve a wide variety of Thai and international dishes. Meals can be enjoyed in the privacy of guests’ rooms. 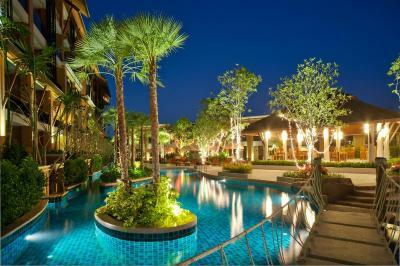 When would you like to stay at Rawai Palm Beach Resort? 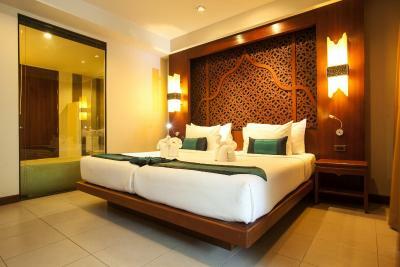 This room features a small private balcony overlooking the pool. Some rooms include a daybed (subject to availability). On levels 2 to 5, this room features a private balcony with a sitting area and pool views. Offering spacious interiors and direct access to the swimming pool, luxurious rooms feature ample seating space, a private terrace and sun deck. On levels 2 to 5, this family room has a kitchenette with a microwave. It has rain shower head and a private balcony which overlooks the pool. House Rules Rawai Palm Beach Resort takes special requests – add in the next step! Rawai Palm Beach Resort accepts these cards and reserves the right to temporarily hold an amount prior to arrival. Each morning, by approx 8am almost all of the sunbeds had been 'taken' by someone putting their towels on them. So please please MORE SUNBEDS!! Need not worry. Everything will be beyond your expectation. Everything . The rooms were damp. The pool had no sun. Check in was a shambles . The room was damp through the air con not working properly, it was musky as if not one had stayed in it for a long time and the pillows on the bed smelt ready bad. The water control on the shower didn't stay on so you have to hold the tap up for the water to keep running. the wardrobe was smelly and the dressing gowns were unable to be worn as the smell was too much. All in all a very bad experience for a 4* rates resort. Breakfast was very poor. Very family orientated. Locarion perfect. The shower handle in our rooms needed maintenance - it kept changing from rain-head to the wall nozzle. At breakfast the fried eggs are cooked and then left on the grill - they were often dried out. 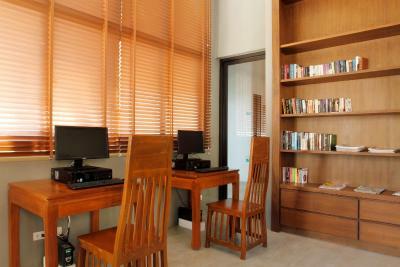 The rooms are comfortable and a good size. We were on the 5th floor and had a great view.The staff are great, very friendly and remembered us from our previous stays. 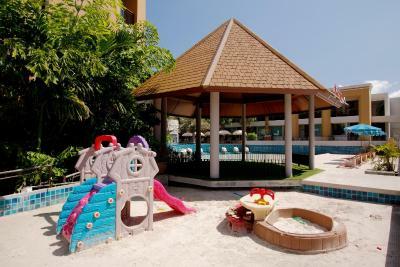 The pool is amazing with plenty of sun loungers and a good swim up bar. We were given a generous late check-out which we really appreciated. Rooms are not clean. There is a smell of dampness in the room. Beds, towels are not fresh and clean. Moscitos and insects in the room.